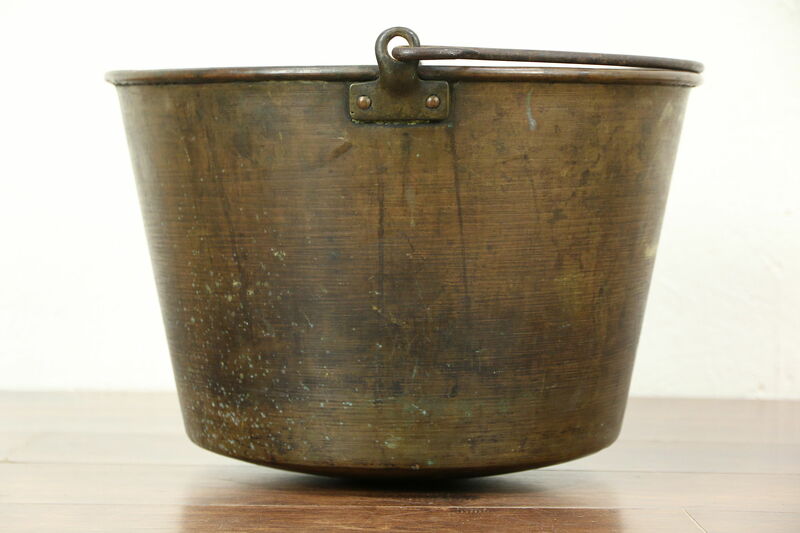 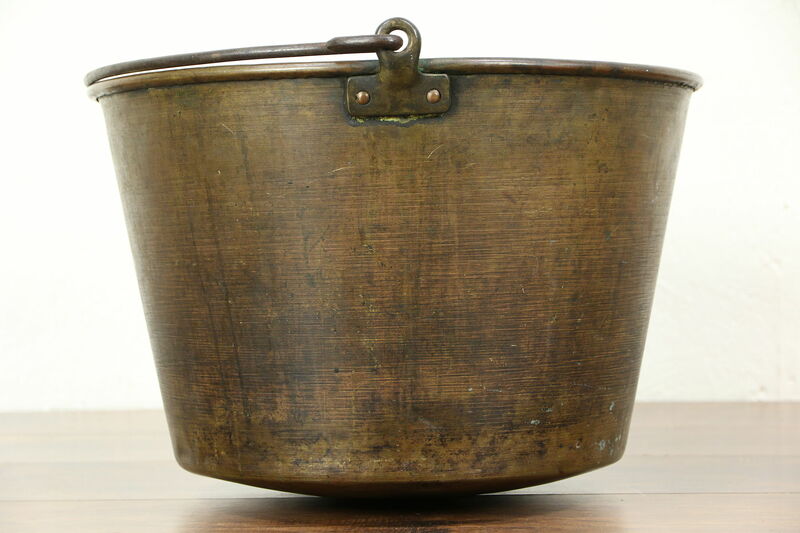 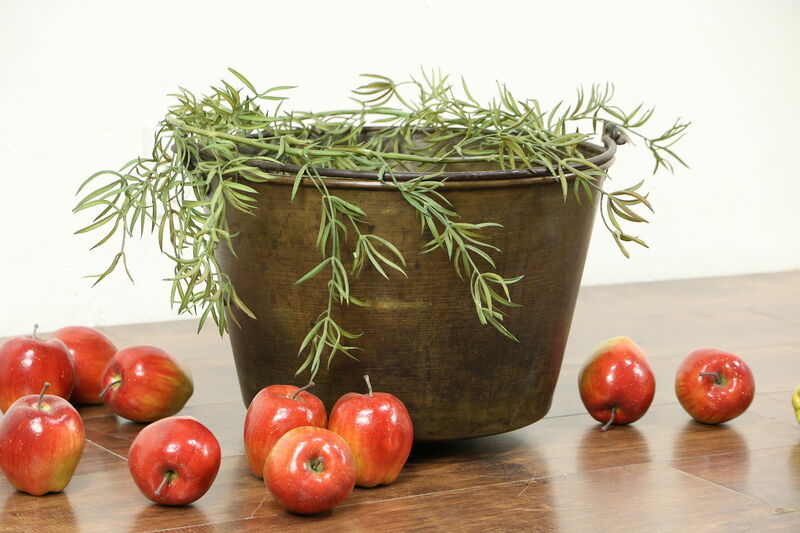 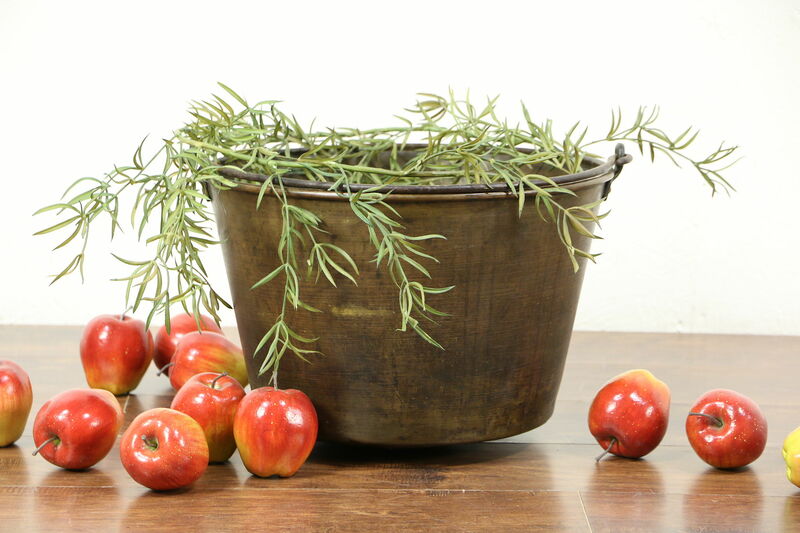 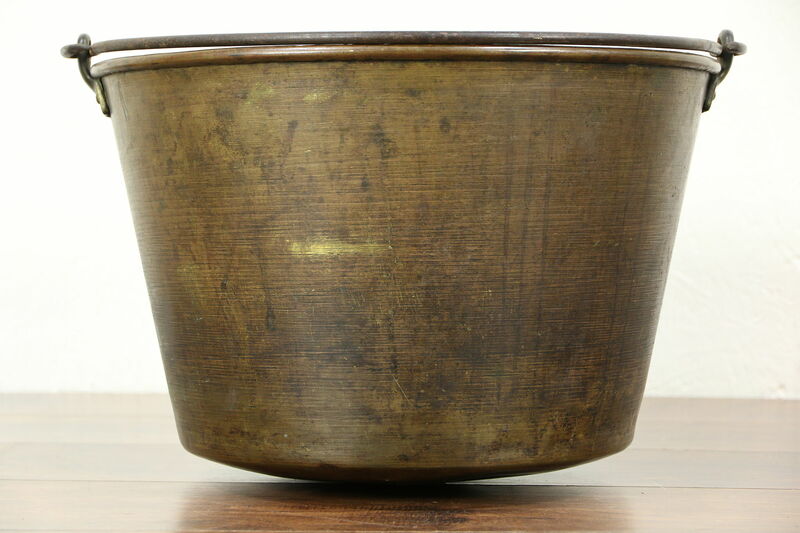 An 1880's brass fireplace kettle or pot with wrought iron handle was traditionally used to simmer fresh fruit into jam. 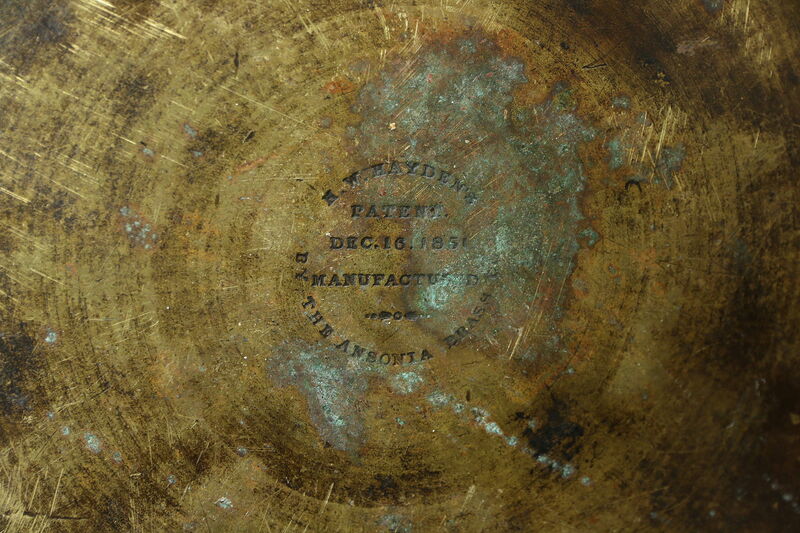 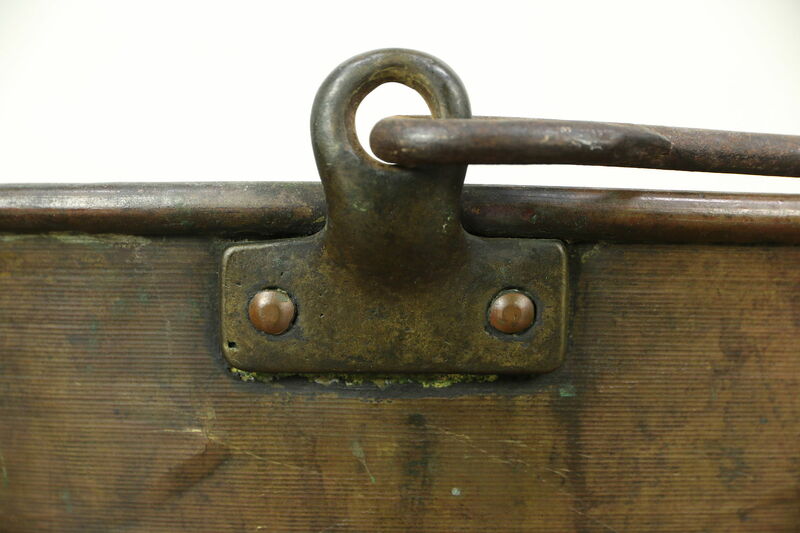 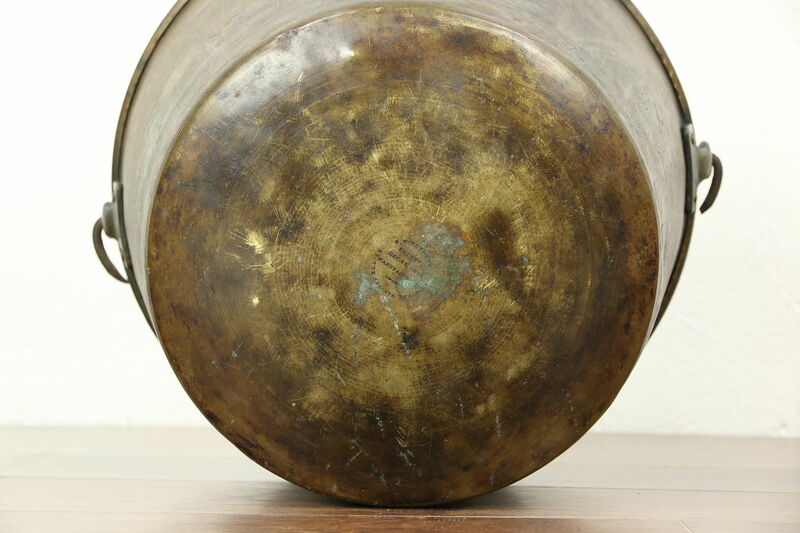 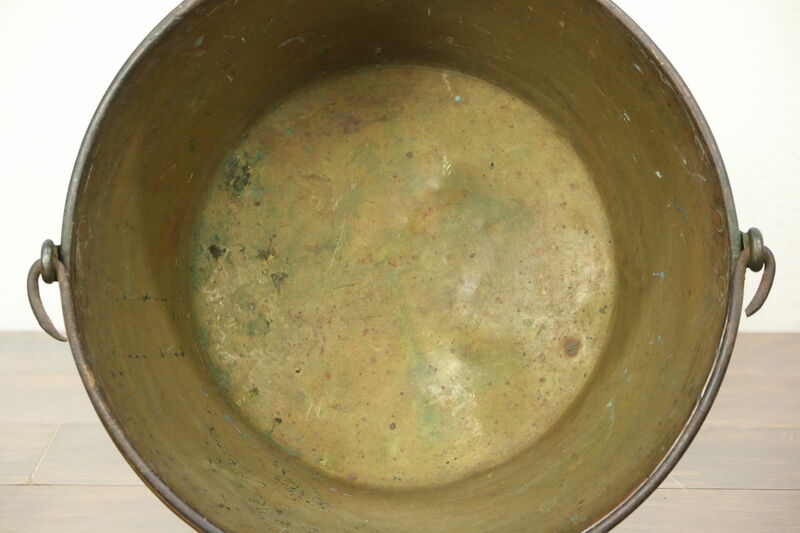 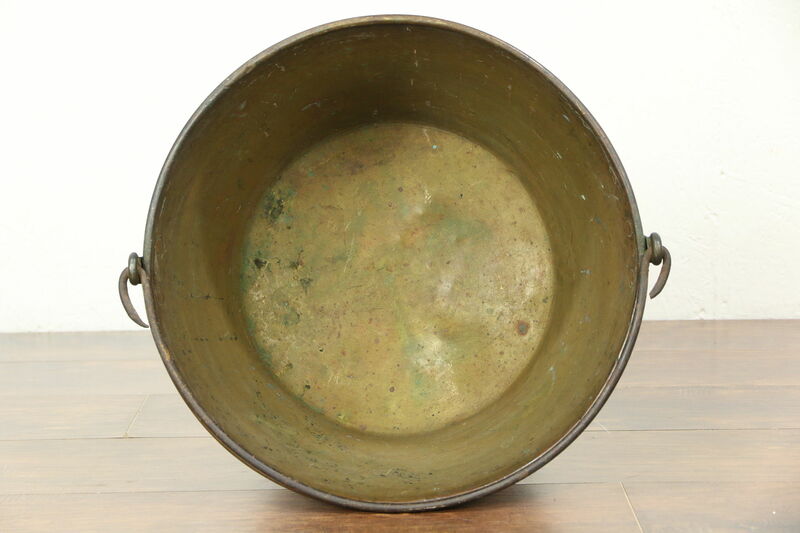 The stamped signature reads "H. W. Hayden's Patent 1851, Ansonia Brass Co."
There are just enough dents, stains and dings for a little antique patina, blackened from the fire. 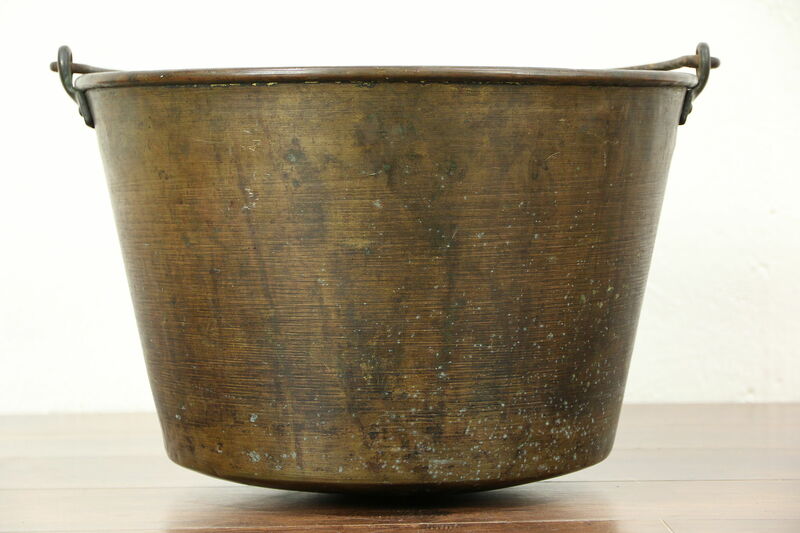 Size with the handle down is 18" across and 12" tall.